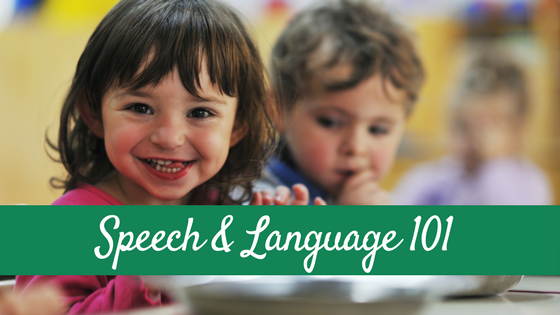 As I explained in my last post, children learn language by hearing it over and over. 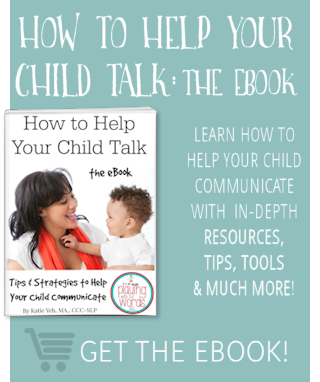 I explained in that post all about using the strategies of Self Talk, Parallel Talk and Descriptions to help teach your infant, toddler, or young child language. 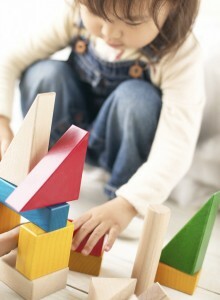 Those strategies can be used with children who have no spoken words or have many spoken words. 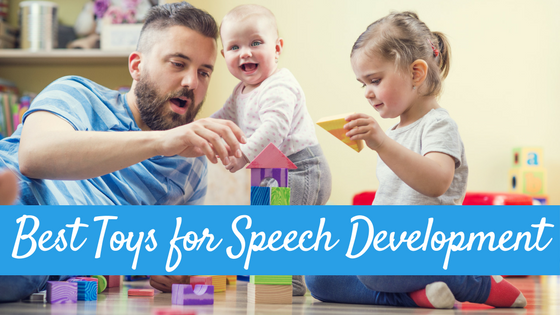 Here I am going to explain a few other strategies you can use to help teach and expand your child’s receptive and expressive language skills in children who have at least some spoken words. Expansions: Expansions are when you take the words your child says about what they see and do and repeat them while adding in missing words/grammar. Another way to look at it, is repeating back the “child-like” sentences back to your child using more “adult” language. By doing this, you are repeating and expanding your child’s language without directly “correcting” him/her. 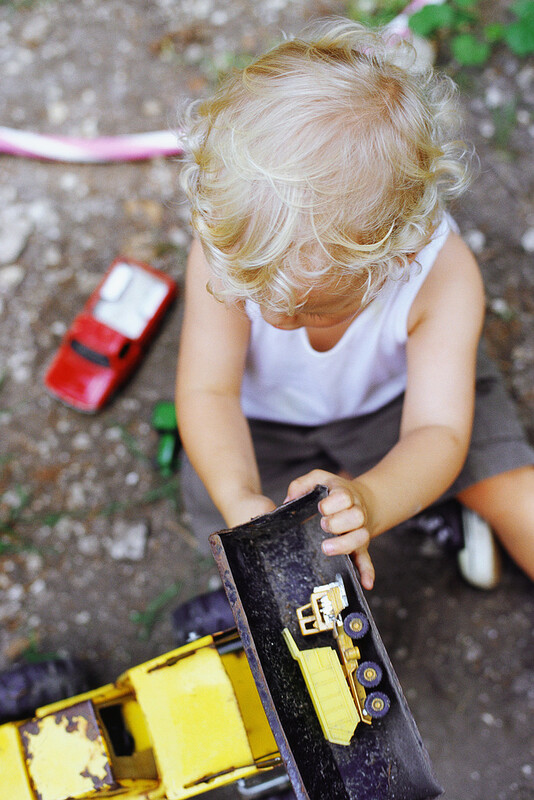 For example, if your child see’s a red block and says “red” you could say “Yes, it’s a red block.” If your child says “Car go!” you would say something like “Yes! The car is going.” It can be helpful to emphasize the “new” language you are providing by saying those words with a higher inflection/tone in your voice and sometimes can you can even repeat those new words a second time. The simple act of repeating your child’s utterances not only confirms to your child that you indeed heard him/her, but also this back-and-forth of repeating let’s your child know that what he/she said was “worth repeating” and therefore can encourage your child to say it yet again (either immediately or later). 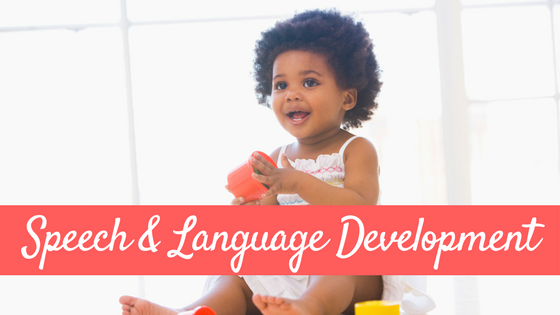 This provides your child with continuing modeling and practice of language concepts. Repetition: This is for children who are speaking at least in single words, to help provide correct models for articulation. You simply repeat back the word he/she said incorrectly, the correct way. For example if your child says “wabbit” for “rabbit” you would repeat back that word to him, while emphasizing the /r/ sound in the word. Just like self talk and parallel talk, the use of these strategies may come more naturally for some people than for others. And that’s ok! How often should I use these strategies? Again, like I explained in my last post, you don’t want to use these strategies with EVERY word your child utters. You need to find a nice balance. 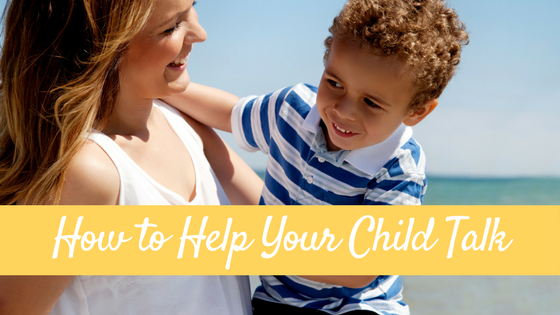 I personally find myself using these strategies quite often with my own daughter in a very natural way. If you find that using these strategies is breaking the natural give and take of the conversation, you are probably using them too much. I remember my aunt telling me how she used extension and expansion with her daughters when I got pregnant with my first. She didn’t use those terms, but now I know what to call her advice. 🙂 I find myself repeating what my toddler says and sometimes naturally extending it, but I want to make sure I’m not just parroting him. Eventually, that started to make my oldest irritated. 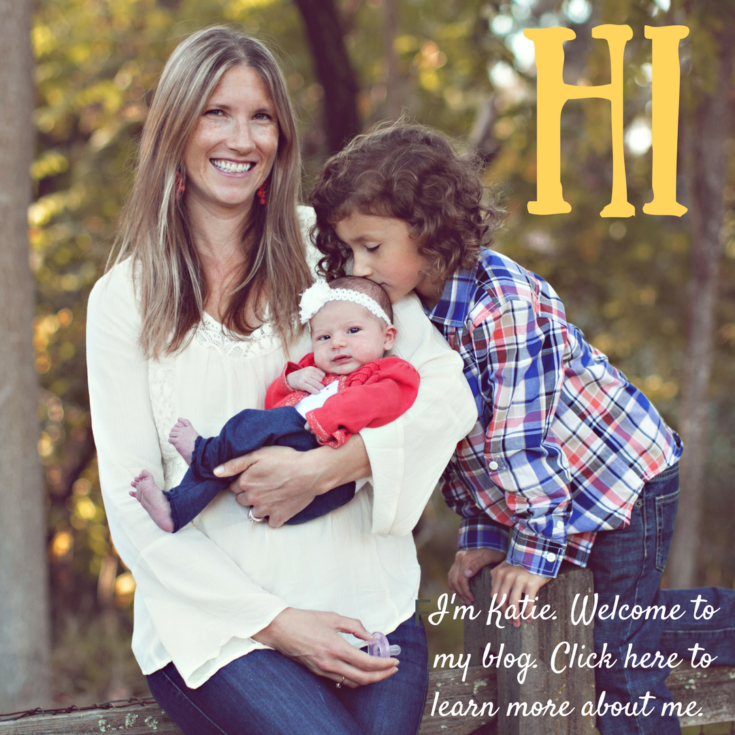 Glad to find your blog from the Mom Loop Blog Frog community.